Gerald and Loretta Hausman are an award-winning, bestselling husband and wife writing team with over 18 books to their joint credit. From mythology to biography, from cats to dogs to horses and from sagas to a book about pancakes, their books have been recognized by USA Today, The New York Public Library, the American Booksellers, Better Homes and Gardens, the Scholastic Book Club, the QBP Book of the Month Club and the Edgar Cayce Foundation, to name a few. The Hausmans have a distinguished career as master storytellers and their latest book, The Forbidden Ride, is but one example of their magnetic writing style that draws the reader in from the first page to the last. 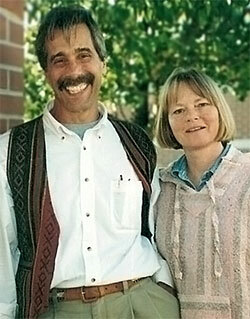 Gerald and Loretta live in Santa Fe.